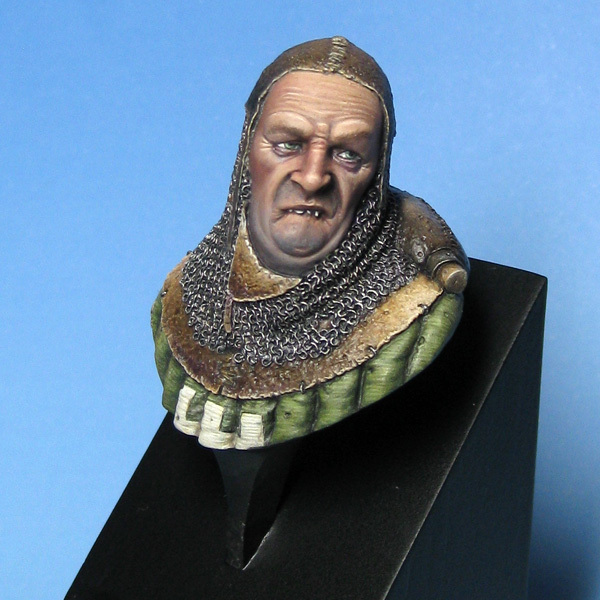 This bust by Alkemy/Kraken was my entry for the large scale (54mm and above) category in the Crystal Brush competition at Adepticon. I think this may well be the best technical painting I have done and although I didnt receive an award for him at the show, I am still really pleased with the way he turned out. All acrylic and 100% brush painted, I was pretty chuffed with the smoothness of the flesh tones in particular, but I also like the way the painting has helped emphasise the haunted look on his face. I have tried to paint a number of different textures on the model – the mail, his flesh, the leather and the quilted armour. 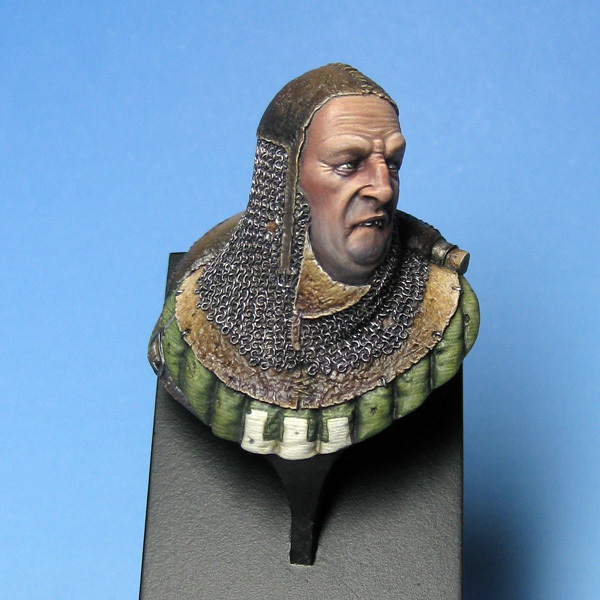 It was quite a lot of fun to do – there have been some queries about the accuracy of the highlight on the leather bit below his chin, but I like the way it frames his face… so lets call it ‘artistic license’!